Following his career as a health care director, Paul van Hulzen decided to become a photographer. He enrolled at the Photo Academy in Amsterdam (FOAC) and embarked on the four-year professional course. During the course, he chose to specialise in ‘autonomous photography’. From then on, Paul’s photographic development really took off. He became acquainted with various movements and studied the relationship between the medium of photography and visual art. Under the influence of the FOAC and the work of artists/photographers from the Netherlands and abroad, his own personal focus and visual language gradually revealed themselves. He graduated successfully in 2009 and exhibited his final exam project ‘German Places’ (comprising six ‘triptychs’ photographed in former East Germany) in Amsterdam. The quality of Paul van Hulzen’s photographic work has not gone unnoticed. He sells and gives his pictures to interested private individuals and collectors. From 2009 to 2015 Paul has had several exhibitions in Holland, Belgium, Germany, Italy and the USA. Many solo and group exhibitions have been taken place in Amsterdam, Bredevoort, Doetinchem, Essen (Germany),The Hague, Groningen, Rotterdam, Antwerp, Aalten, New York City (USA), Enschede, Alfriston (England) and Noordwijk. In 2009, Paul was nominated for The Photo Academy Award 2009 for his photo series ‘American Boulevard’ and ‘Filling Stations’. Pictures from this series were included in the award exhibition held in 2009 and 2010 in museums and galleries in The Hague, Amsterdam, Rotterdam, Groningen and Antwerp. In Spring 2010 he was awarded a silver and two bronzes in the international FEP competition, The 2009 European Professional Photographer of the Year (commercial category), for the pictures in the series ‘Filling Stations’. 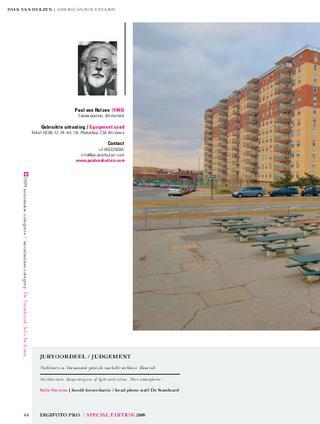 Paul received a nomination for The Photo Academy Award 2010 for his photo series ‘Getto’ and ‘French Boulevard’. Pictures from these series will be exhibited in various cities in the Netherlands and Belgium in 2010 and 2011. Paul van Hulzen was one of the winners of the 'Contemporary Art Ruhr Gallery 2010' for a picture in the series 'On the Road'. His photo series 'Ballroom', 'American Boulevard' and 'On the Road' received four Honorable Mentions from the International Photography Award 2010 (IPA, USA) in the categories ‘Interior’, ‘Cityscape’, ‘Editorial’ and ‘Automotive’. He won third prize in the overall competition of The Photo Academy Award 2010 for his photo series ‘Getto’. His work 'Traffic' was selected for the Summer Exhibition 2011 in the Gemeentemuseum in The Hague. In the competition categories 'Cityscapes', 'Historic', 'Bridges', 'Interior' and 'Cityscapes' of the 2011 International Photography Award (IPA), Paul's work won respectively 1st Place, 1st Place, 2nd Place, and two Honorable Mentions. Paul is one of the eight finalists in the '2011 International Photographer of the Year Award' (IPA). He is the winner of the '2011 International Architecture Photographer of the Year Award' (IPA). 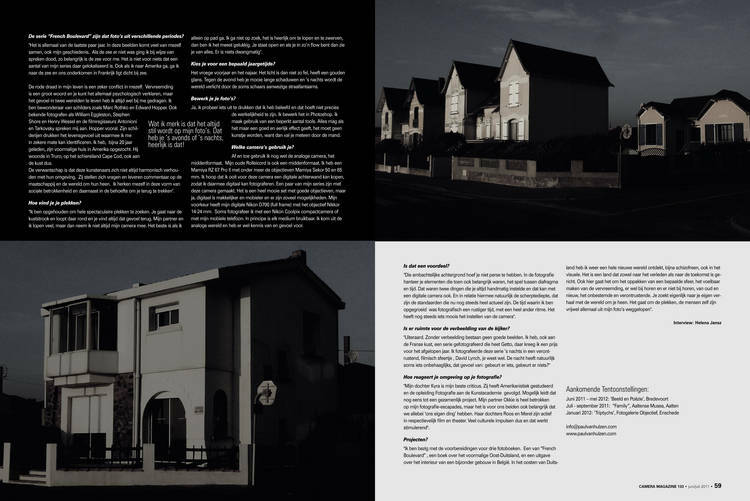 In the competition 'Lucie Award 2012' Paul received Honorable Mentions for the series 'Weimar', 'Rockaway Beach', 'Filling Station II and III', 'Place of Terror', 'Red Chairs', 'Mad Room V', 'Bauhaus II', Railway to Death', 'Personal Landscape' and 'Wake Up'. He received Honorable Mentions in the competition 'Prix de la Photographie Paris (PX3) 2013 and 2014' for his photo series 'Place of Terror II' and 'Dream Forest'. Paul's new series 'Abandoned', 'Massacre II' and 'Sea Desire' received Honorable Mentions in the competition 'International Photography Award 2013' in the categories 'Architecture', 'Editorial', 'Fine Art' and 'Nature'. In the International Competition 'One Shot' (L.A./USA) he received Honorable Mentions for his images 'French Boulevard 34' and 'Abandoned 1'. In september 2014 he received the nomination for the 'The Hague Art Prize Van Ommeren De Voogt 2014' for his tryptich 'Where is She'. For his new series 'The dream is now', 'Rue', 'Motel story', 'Beach I, II, III' and 'Dream Forest' received Paul Honorable Mentions in the categories 'Cityscapes', 'Photo Essay Feature Story', 'Fine Art/Landscape' and 'Nature/Landscapes' in the competition 'International Photography Award 2014'. In the competition 'Prix de la Photographie Paris 2015 (PX3)' he received the Second Prize in the category Fine Art for his fotoserie 'Cape Cod', and Honorable Mentions for the series 'The Great War', 'Beach', 'Motel Story', 'Rue', and 'Vive La France'. In the competition 'IPA 2015' received Paul Honorable Mentions in the categories Fine Art and Architecture for his photo series 'Cape Cod' and 'The Great War'. 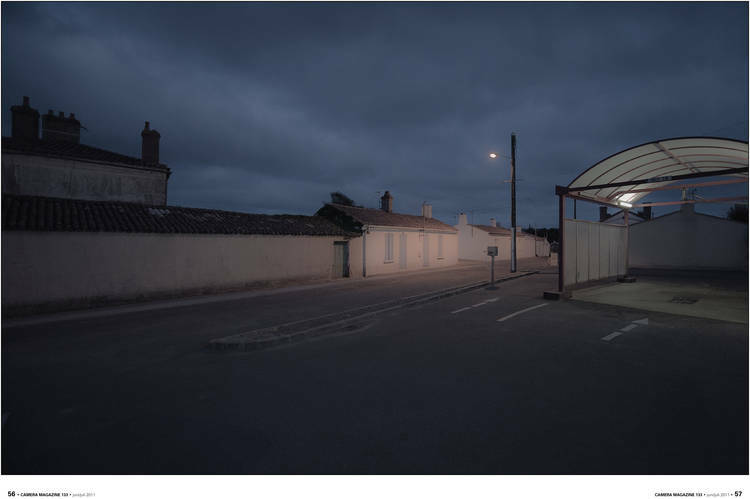 In the competition 'Red' of the 'Prix de la Photographie Paris (PX3) received Paul the First Prize (Award Gold) in the category Advertising and the Second Prize (Award Silver) in the category Fine Art for his photo serie 'Filling Station'. Paul van Hulzen photographs ‘places’. Besides urban locations, these can also include ‘landscapes’, interiors and even objects. 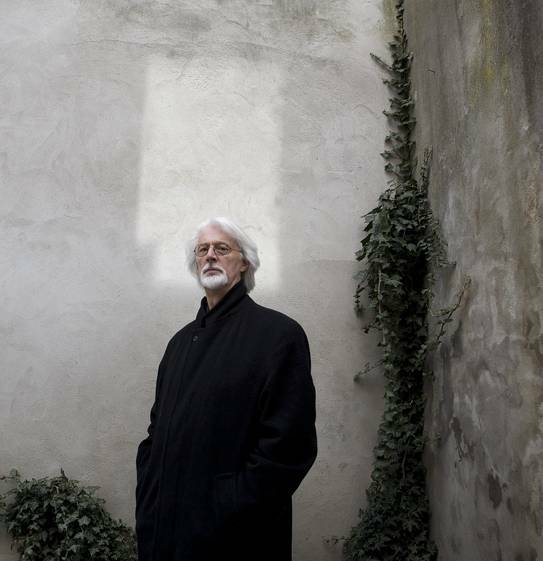 He makes no fundamental distinction between a ‘natural landscape’ and a more urban environment. On the contrary, Paul believes that a built-up location or an interior can be more ‘landscape-like’ than a landscape in the traditional sense. His starting point is always the ‘spatiality’ created by human intervention. Within this spatiality, he searches for, and finds a specific beauty and an atmosphere that can be contemplative, ironic and disturbing all at once. Paul is regularly referred to as the ‘painting photographer’, and he is undeniably inspired by painters. For him, Rothko, Hockney, Hopper, Wyeth, Pollock and Armando are ‘model’ thinkers and artists. The same goes for photographers like Eggleston, Shore and Wessel, and for the filmmakers Antonioni and Tarkovsky. - 'In the case of many of Paul van Hulzen's photos, you are looking at aesthetically beautiful images, while underneath there is jarring and friction on alle sides'. 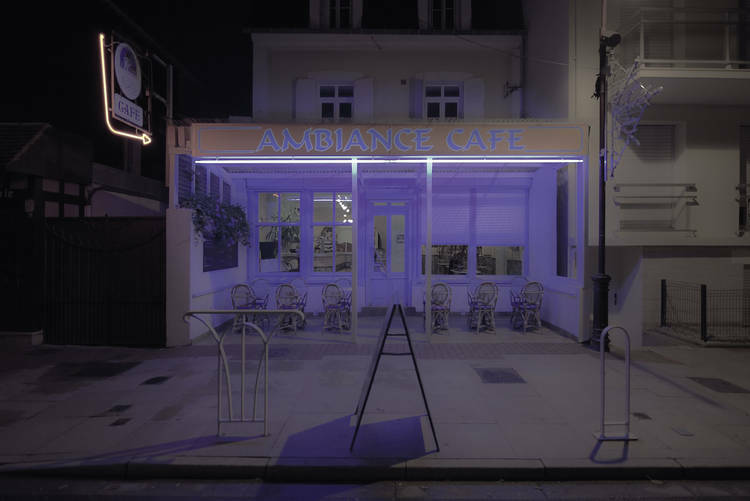 - 'The images of Paul van Hulzen concern apparently ordinary, almost banal places, where nothing much is the matter at first sight, but which transform through Paul's eyes into locations from a Hitchcock movie or a painting by Edward Hopper - full of suppressed tension and melancholy'. 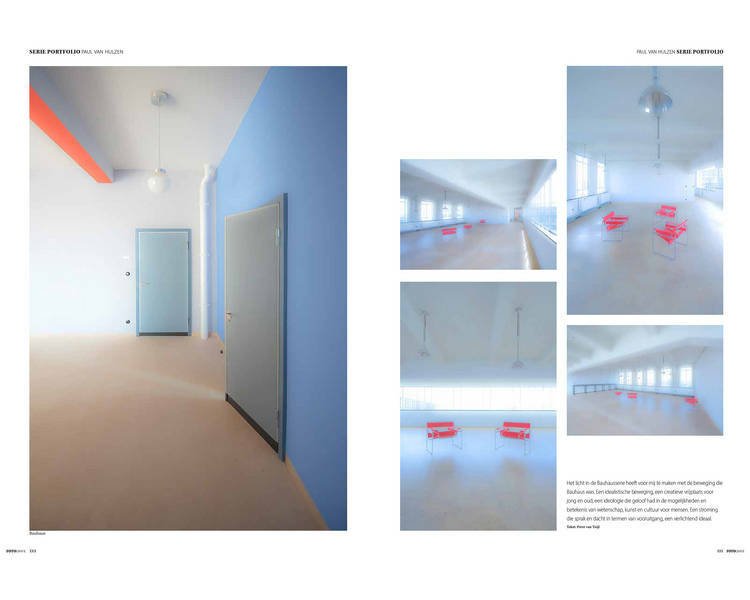 - 'The use of colour and the printing technique lend a particular atmosphere to the photography of Paul van Hulzen. The way in which something is made tangible is more what you expect from a painting than a photo. The photographic technique does not dominate. The intimate character of the work is impressive'. 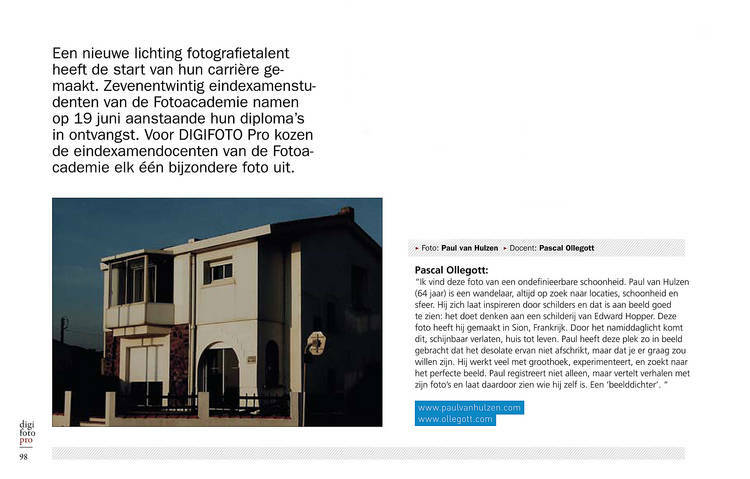 Paul van Hulzen is member of the 'Artists Society Pulchri Studio' in The Hague, of the 'The Dutch Photographers Association'(DuPho) in Amsterdam, and of the 'Eastern Photographers Collective' (OFC) in Bredevoort. He lives and works in Lichtenvoorde. Na zijn loopbaan als bestuurder in de gezondheidszorg besloot Paul van Hulzen fotograaf te worden. Hij schreef zich in bij de Fotoacademie in Amsterdam (FOAC) en startte daar de 4-jarige beroepsopleiding. Tijdens deze opleiding koos hij voor de studierichting ' autonome fotografie'. De fotografische ontwikkeling van Paul ging vanaf dat moment snel. Hij maakte kennis met uiteenlopende stromingen en verdiepte zich in de relatie tussen het medium fotografie en de beeldende kunsten. Onder invloed van de FOAC en het werk van Nederlandse en buitenlandse kunstenaars/fotografen werd geleidelijk een eigen focus en beeldtaal zichtbaar. 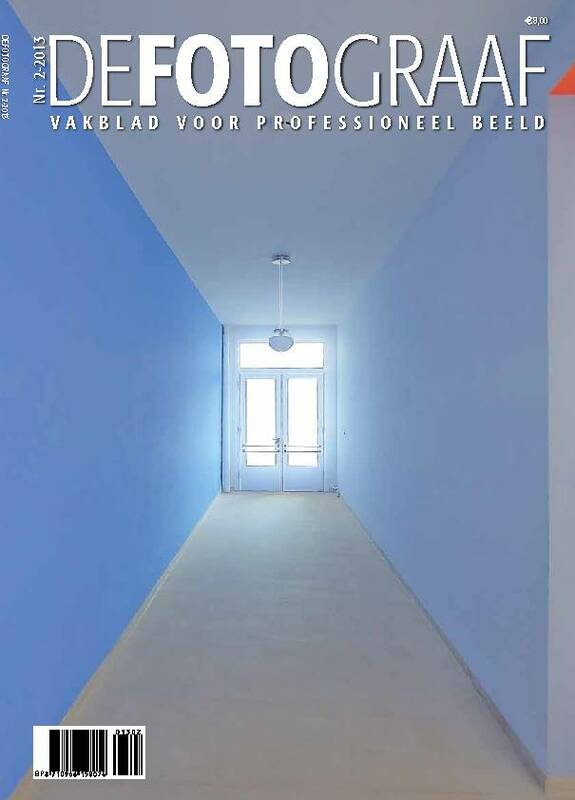 Hij studeerde in 2009 succesvol af en exposeerde in Amsterdam zijn eindexamenproject 'German Places' (samengesteld uit een 6-tal ‘drieluiken’, gefotografeerd in het voormalige Oost-Duitsland). De kwaliteit van het fotografisch werk van Paul van Hulzen wordt inmiddels opgemerkt. Hij verkoopt en schenkt zijn beelden aan belangstellende particulieren en verzamelaars. Vanaf 2009 tot heden exposeerde Paul in verschillende steden en plaatsen in Nederland, Duitsland, Engeland, Italië en the USA. Recent exposeerde hij, al dan niet in groepsverband, in onder meer Amsterdam, Bredevoort, Doetinchem, Essen (Duitsland), Den Haag, Groningen, Rotterdam, Antwerpen, Aalten, New York City (USA), Enschede, Alfriston (Engeland) en Noordwijk. In 2009 kreeg Paul nominaties voor The Photo Academy Award 2009 voor zijn fotoseries 'American Boulevard' en 'Filling Stations'. Beelden uit deze series maken deel uit van de Award-tentoonstelling, die in 2009 en 2010 werd ingericht in musea en galeries in Den Haag, Amsterdam, Rotterdam, Groningen en Antwerpen. Voor de beelden uit de serie ‘Filling stations' ontving hij dit jaar een zilveren en twee bronzen Awards in de internationale competitie van de FEP, 'The 2009 European Professional Photographer of the Year' ('commercial category'). 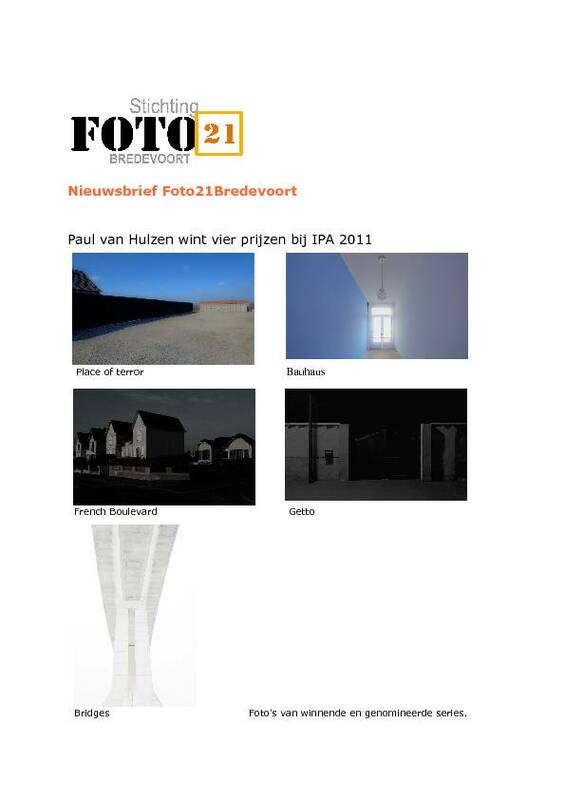 Voor The Photo Academy Award 2010 werd Paul genomineerd met zijn fotoseries ‘Getto’ en ‘French Boulevard’. Beelden hiervan worden in 2010 en 2011 in verschillende steden in Nederland en België tentoongesteld. Hij was een van de winnaars van de 'Contemporary Art Ruhr Gallery 2010' voor een foto uit de serie 'On the Road'. 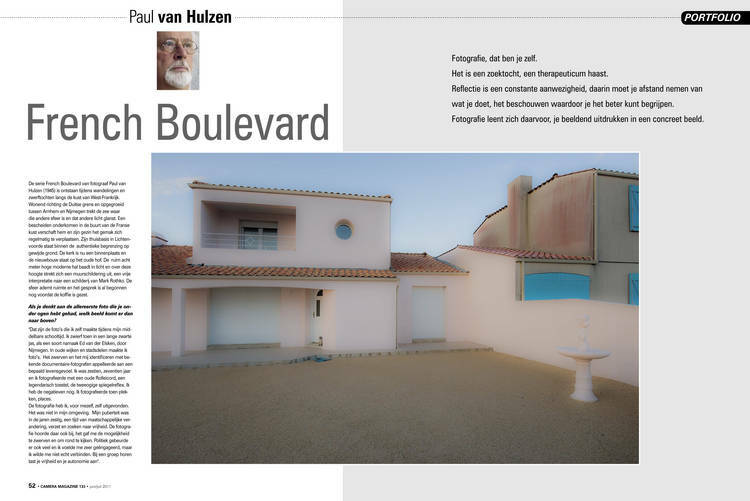 Paul van Hulzen ontving vier Honorable Mentions van de International Photography Award 2010 (IPA,USA) in de categoriën ‘Interior’, ‘Cityscape’, ‘Editorial’ en ‘Automotive’ voor zijn fotoseries ‘Ballroom’, ‘American Boulevard’ en ‘On the Road’. In 2010 kreeg hij de derde prijs van de overall competitie van The Photo Academy Award 2010 voor de fotoserie ‘getto’. Zijn werk 'Traffic' werd geselecteerd voor de Zomer Expositie 2011 in het Gemeentemuseum in Den Haag. Recent won Paul in de categorieën 'Cityscapes', 'Historic', 'Bridges', 'Interior' en wederom 'Cityscapes' respectievelijk de 1ste prijs, de 1ste prijs, de 2e prijs en twee Honorable Mentions in de prestigieuze fotocompetitie "The International Photographer Award 2011' (IPA). 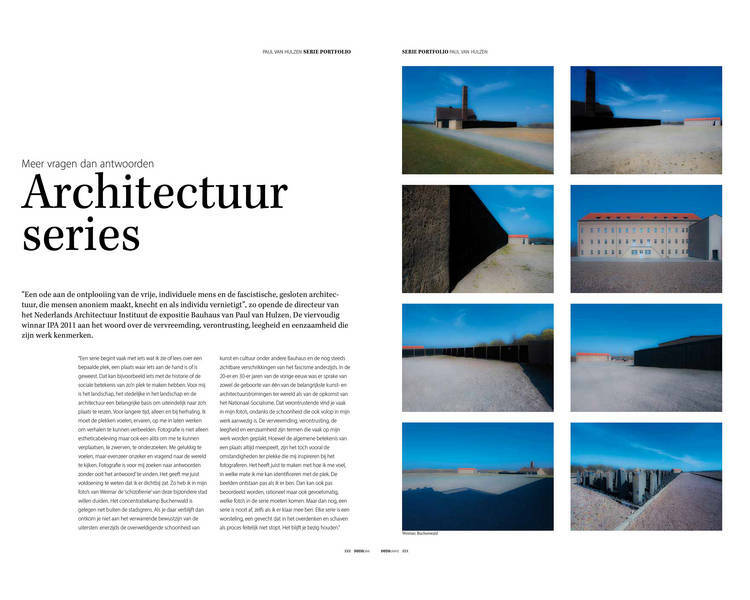 Hij is winnaar van de hoofdcategorie 'Architecture' van IPA 2011 en bekroond als 'International Architecture Photographer of the Year 2011'. 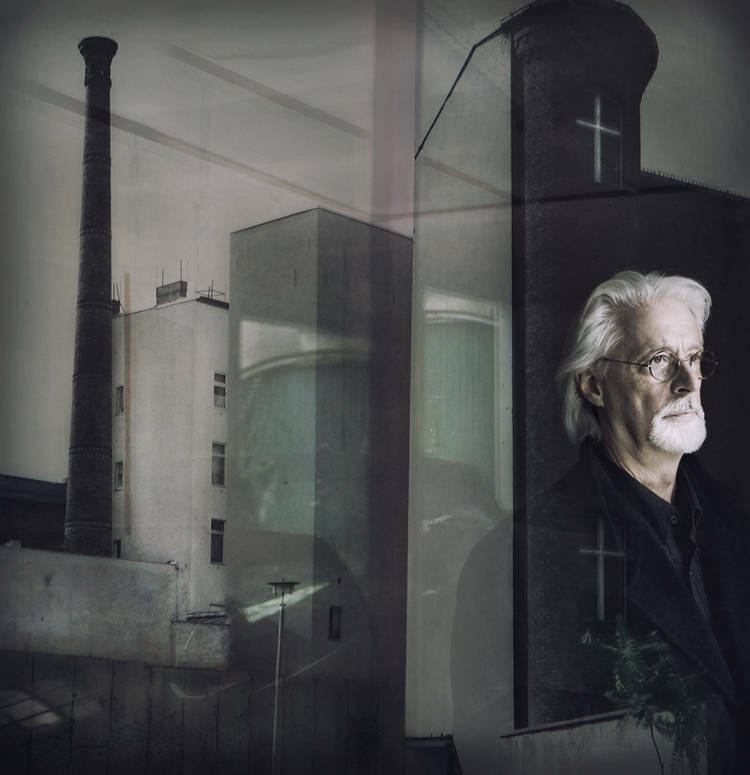 Hij is een van de acht finalisten voor de 'International Photographer of the Year Award 2011'. 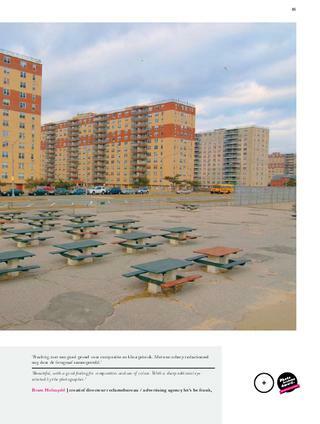 In de internationale competitie voor de 'Lucie Award 2012' ontving Paul verschillende Honorable Mentions voor zijn fotoseries 'Weimar', 'Rockaway Beach', 'Filling Station II en III', 'Place of Terror', 'Red Chairs', 'Mad Room V', 'Bauhaus II', 'Railway to Death', 'Personal Landscape' en 'Wake Up'. 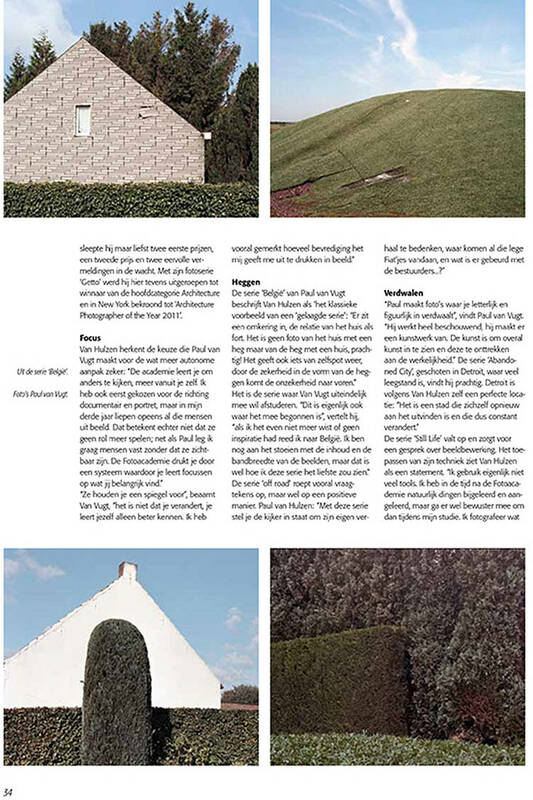 De fotoseries 'Place of Terror II' en 'Dream Forest' kregen twee Honorable Mentions in the prestigieuze internationale competitie 'Prix de la Photographie Paris (PX3) 2013 en 2014'. 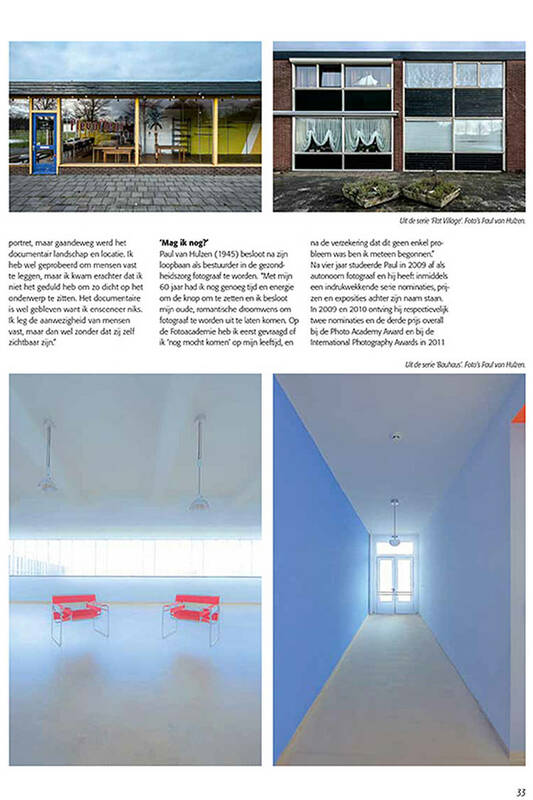 Paul's nieuwe series 'Abandoned', 'Massacre II' en 'Sea Desire' ontvingen in de competitie 'International Photography Award 2013' vijf Honorable Mentions in de categoriën 'Architecture', 'Editorial', 'Fine Art' en 'Nature'. In de Internationale Competitie 'One Shot' (L.A./USA) ontving hij Honorable Mentions voor zijn beelden 'French Boulevard 34' en 'Abandoned 1'. 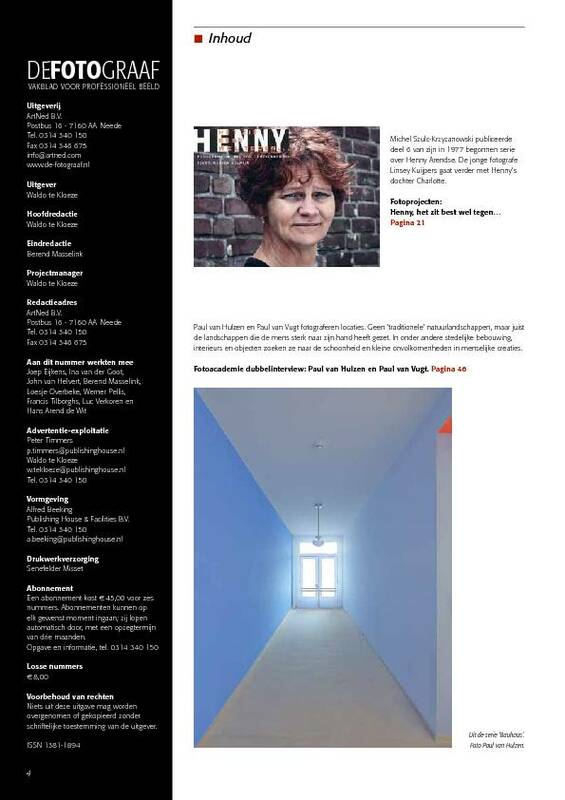 In september 2014 kreeg hij de nominatie voor de Haagse Kunstprijs 'Van Ommeren de Voogt Prijs 2014'. 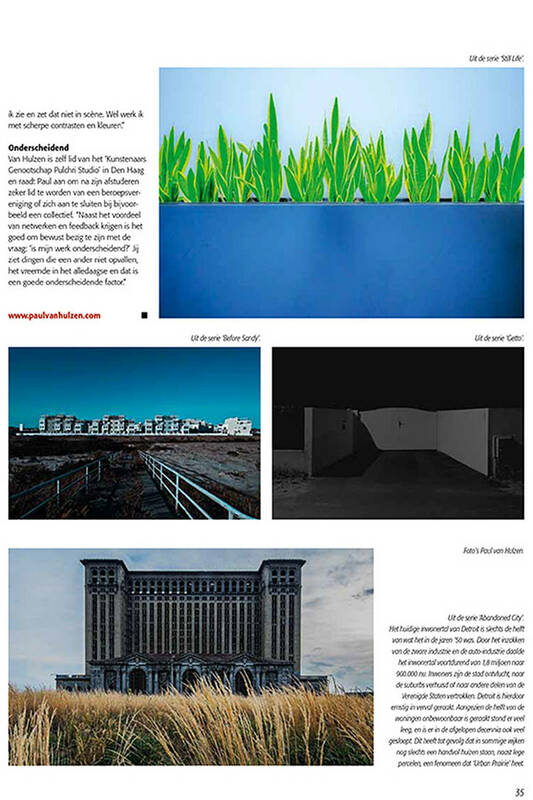 Zijn nieuwe fotoseries 'The dream is now', 'Rue', 'Motel Story', 'Beach I, II, III' kregen Honorable Mentions in de internationale competitie 'International Photography Award 2014'. 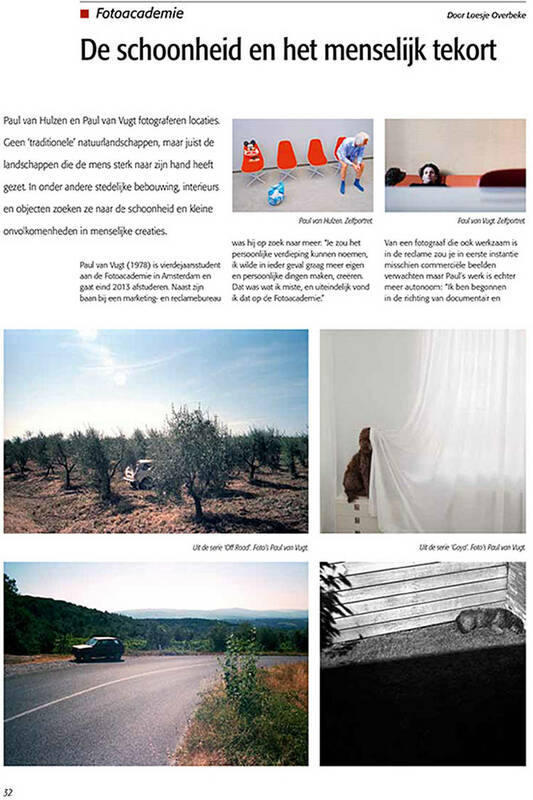 In de fotocompetitie 'Prix de la Photographie Paris (PX3) 2015' werd Paul onderscheiden met de Tweede Prijs in de categorie Fine Art voor zijn fotoserie 'Cape Cod', en kreeg hij Honorable Mentions voor zijn series 'The Great War', 'Beach', 'Motel Story', 'Rue', en 'Vive la France'. 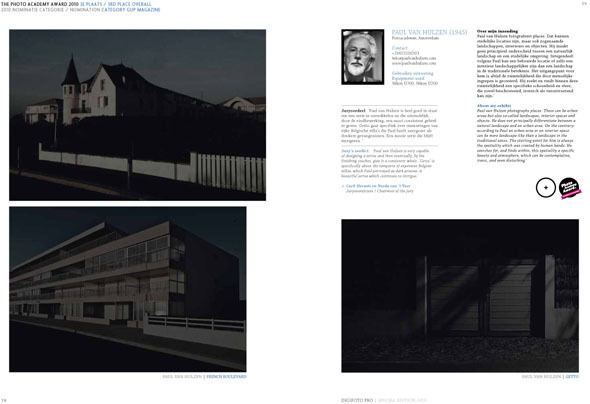 Paul ontving in de competitie 'IPA 2015' Honorable Mentions in de categorieën Fine Art en Architecture voor zijn fotoseries 'Cape Cod' en 'The great War'. In de competitie 'Red' van de 'Prix de la Photographie Paris (PX3)' sleepte hij de Eerste Prijs in de categorie Advertising en de Tweede Prijs in de categorie Fine Art in de wacht, beide voor zijn succesvolle fotoserie 'Filling Station'. 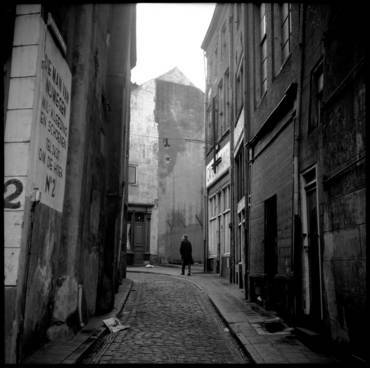 Paul van Hulzen fotografeert 'places'. Dat kunnen stedelijke locaties zijn, maar ook zogenaamde 'landschappen', interieurs en zelfs objecten. 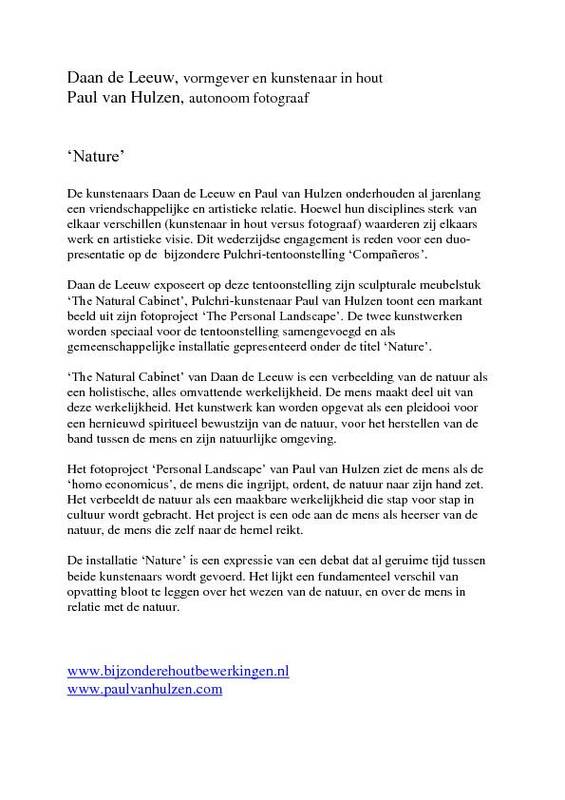 Hij maakt geen principieel onderscheid tussen een 'natuurlijk landschap' en een meer stedelijke omgeving. Integendeel : volgens Paul kan een bebouwde locatie of een interieur landschappelijker zijn dan een landschap in de traditionele betekenis. Het uitgangspunt is voor hem altijd de 'ruimtelijkheid' die door menselijke ingrepen is gecreëerd. Hij zoekt en vindt binnen deze ruimtelijkheid een specifieke schoonheid en een sfeer, die zowel beschouwend, ironisch als verontrustend kan zijn. Regelmatig wordt Paul de 'schilderende fotograaf' genoemd. Ontegenzeglijk wordt hij geinspireerd door schilders. Rothko, Hockney, Hopper, Wyeth, Pollock en Armando zijn voor hem 'voorbeeldige' beschouwers en kunstenaars. Dat geldt overigens ook voor fotografen als Eggleston, Shore en Wessel, en voor de filmers Antonioni en Tarkovsky. 'Wat voor veel foto's van Paul van Hulzen geldt is dat je kijkt naar esthetisch fraaie beelden, maar onderhuids schuurt en wringt het aan alle kanten'. 'Meestal gaat het om ogenschijnlijk doodgewone, bijna banale oorden, waar op het eerste gezicht weinig aan de hand is maar door de ogen van Paul van Hulzen veranderen in locaties uit een Hitchcock-film of een schilderij van Edward Hopper, vol ingehouden spanning en melancholie'. 'Het kleurgebruik en de afdruktechniek maken dat deze fotografie een bepaalde sfeer oproept. De manier waarop iets voelbaar wordt gemaakt verwacht je niet bij een foto maar bij een schilderij. De fotografische techniek domineert niet. Het intieme karakter van het werk imponeert'. 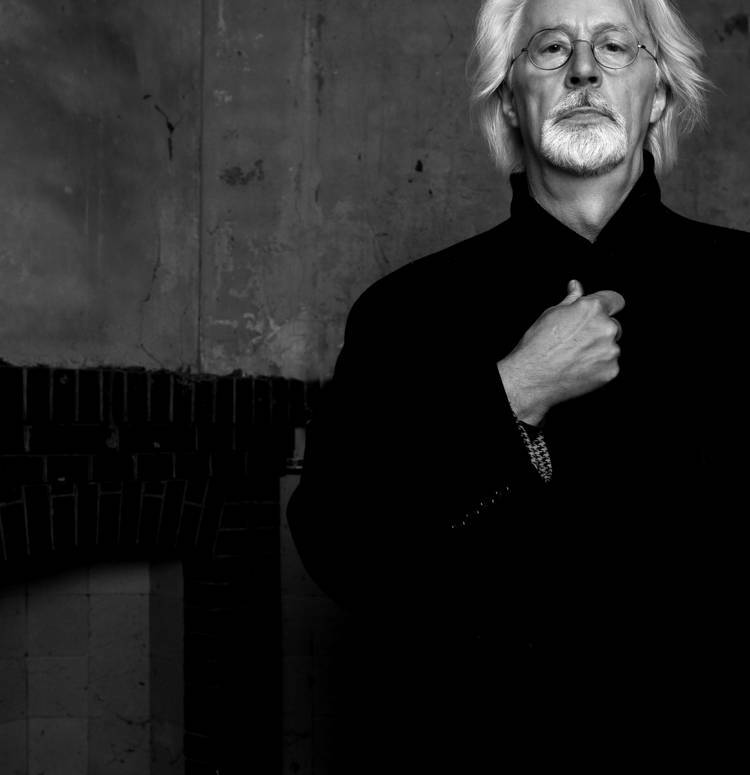 Paul van Hulzen is lid van het 'Kunstenaars Genootschap Pulchri Studio' in Den Haag, van de 'Dutch Photographers Association' (DuPho) in Amsterdam, en van het 'Oost Gelders Fotografen Collectief' (OFC) in Bredevoort. 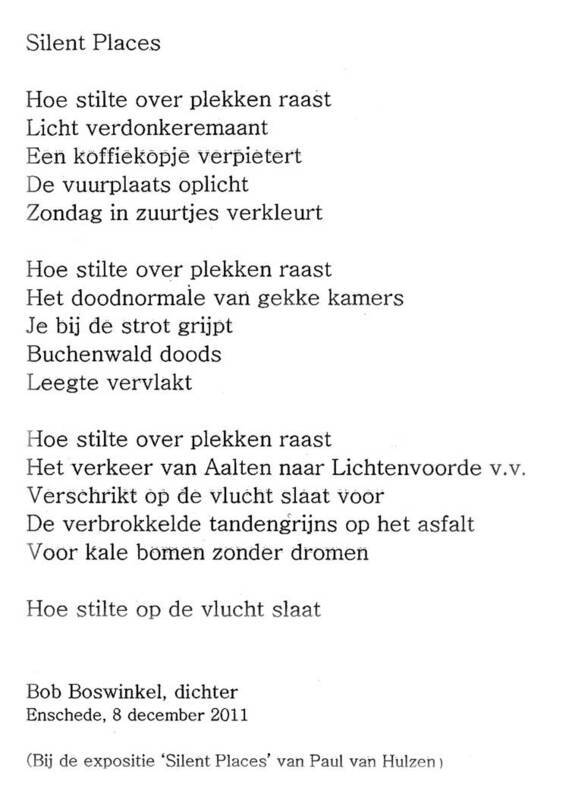 Hij werkt vanuit zijn woonplaats Lichtenvoorde.